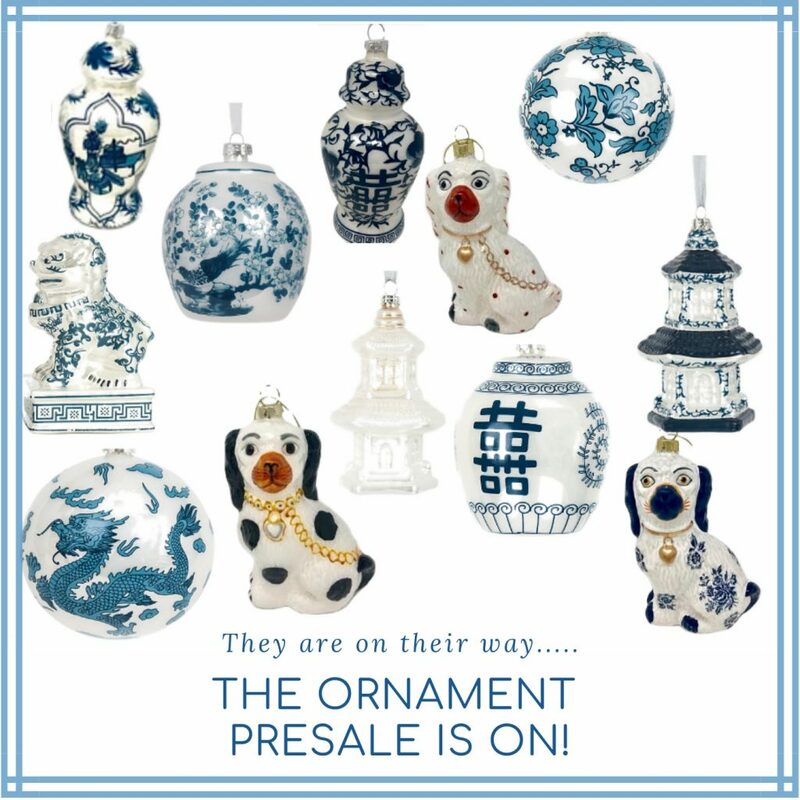 The much anticipated 2018 ornament presale is on and a giveaway! Hellooooo friends! You are going to be really happy you follow my blog today:) The day many have been waiting for has arrived (and that includes me). Our ornament presale is officially on, finally. 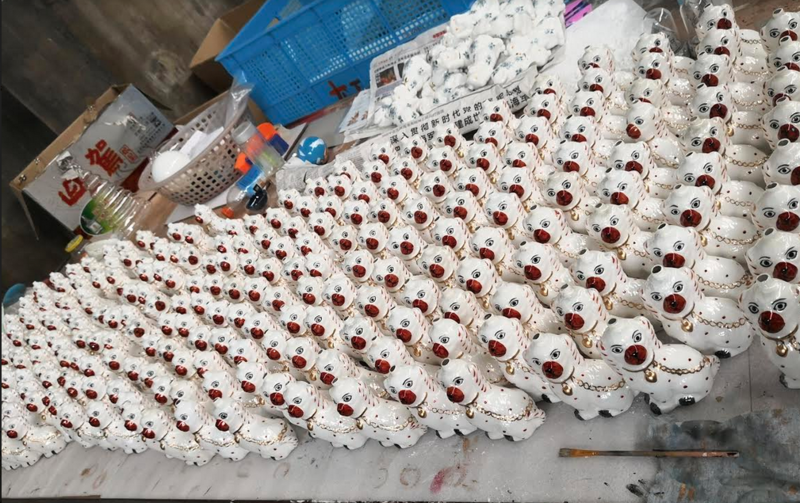 This was a long time in the making but alas we are here, these babies are out of production and on their way to fill many beautiful holiday homes and add a touch of blue and white magic this holiday season. We do not have the professional pictures on all the new styles but think the ones we have included will suffice. Plus you get a sneak peek at my vision for this Christmas season:) They will arrive in plenty of time for all you early bird holiday decorators….and don’t forget a box of these make beautiful gifts and favors! I was chomping at the bit to share these pictures below with you! So, before we get started I am sharing with you a very special picture that I was working on a few weeks ago. I decorated my tree to the brim with blue and white for a photo shoot and could not have been more thrilled with the result…it surpassed my vision and I love it so much, this very arrangement is still up in my living room and will likely just stay there. I love seeing it even if we haven’t celebrated Halloween yet! ITEM 4 NEW! This large ginger jar will really make a statement on your tree, 6.25″ gorgeous classic design. 7B. 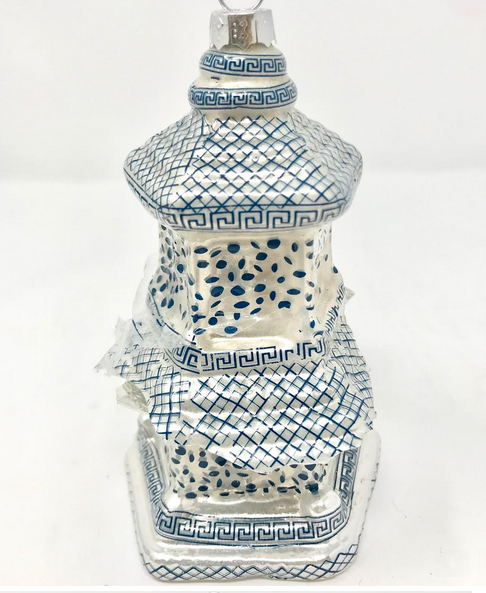 The fabulous white/blue pagoda measures 5″. ITEM 8. 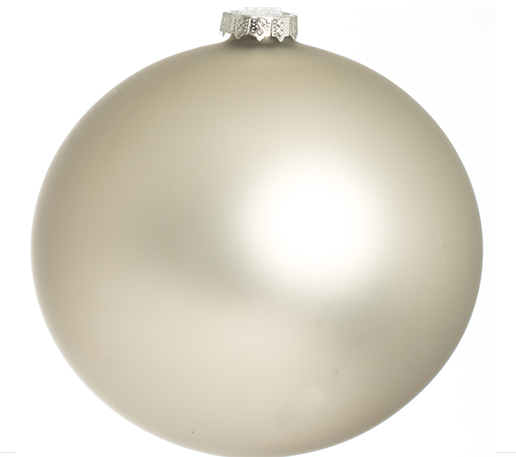 5″ balls, these highly decorative large balls make a real statement on any tree. The popular pheasant ball is decorated with a pheasant and florals and was one of our best sellers. 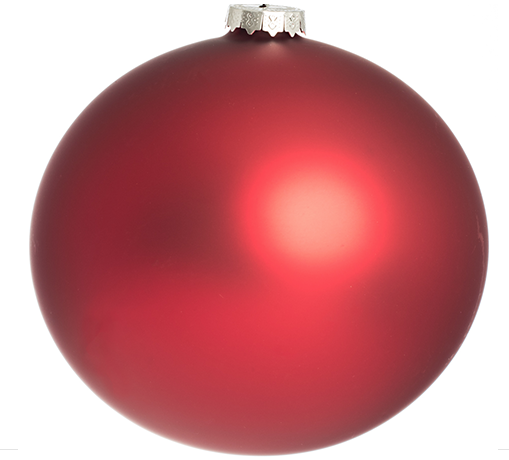 ITEM 9 5″ balls, these highly decorative large balls make a real statement on any tree. The popular classic dragon ball is one of our best sellers. ITEM 10 Beautiful all over floral balls in two great sizes. 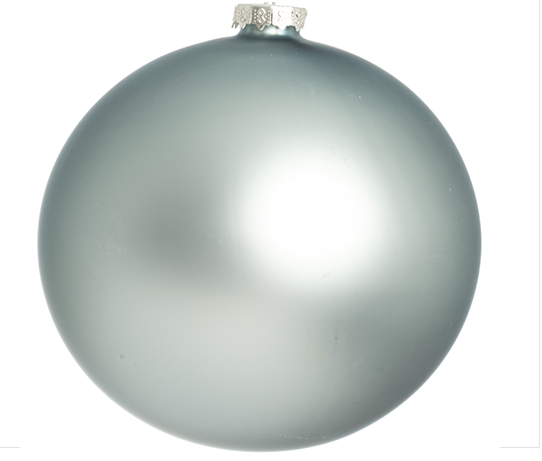 Love this ball and it goes beautifully with any ornaments. ITEM 12 NEW! The beautiful new Staffordshire dogs! These beauties are 4″ tall and come in three colorways- ivory/gold, black/white and blue/white. These are sure to add so much to any tree they are used on. ITEM 13. Thrilled about the return of our pheasant flat top jar, lovely style and beautiful pheasant design. Measures 4″tall. ITEM 14 Getting in these fabulous icy blue 5″ balls again. 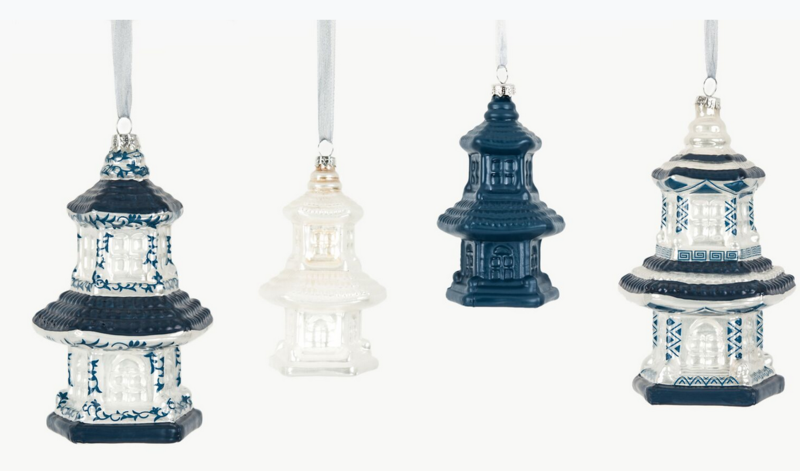 When doing a blue and white tree theses are the perfect finishing touch. They add a lot to the tree and make a beautiful statement, the icy frosted pale blue is such a gorgeous color too. ITEM 15. The darling foo dog is coming back. This is. a wonderful ornament that measures 4″, works beautifully alongside all the jars and ball ornaments. ITEM 16. 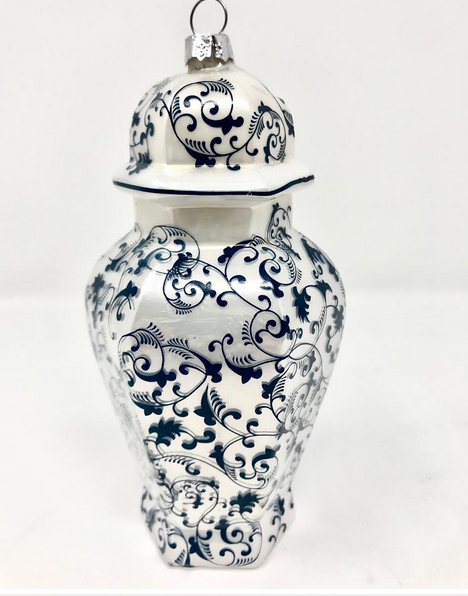 Fabulous white ginger jar with elegant blue floral all over pattern, measure 6″. ITEM 18. The return of our darling 4.5″ dragon jar is also coming back and will be a welcome sight. ITEM 19. Solid balls. 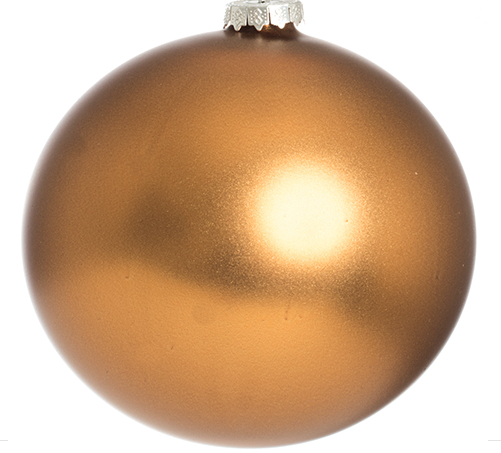 We have limited numbers of these fabulous 5″ oversized balls in red, blue, copper and ivory. 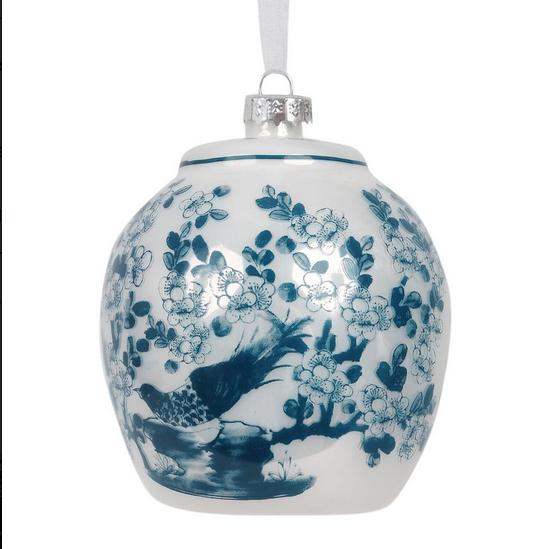 They have a pearlized finish and really add a lot of impact to any tree especially when paired with our beautiful chinoiserie ornaments. ITEM 20C (this is sadly the pic of the broken one but gives you an idea of the style- sorry)! I adore the mini ginger jars and little pagodas! So lovely! I love item – ITEM 20A. Cute ginger jar! One or two of each would be perfect! 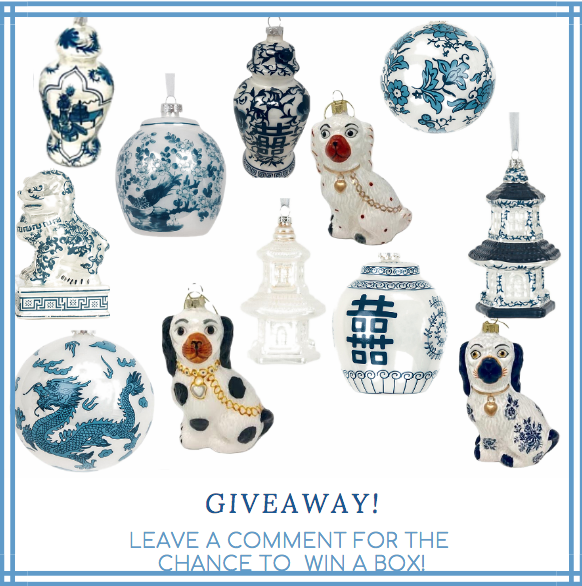 My favorite has to be the blue and white foo dog ornaments. They are a great contrast to all of the “jar” shapes and we are major dog lovers with four dogs! These are fabulous! I have to get lots of Christmas gifts this year and these might just be the perfect thing!!! Love seeing your tree all decorated! Definitely getting me thinking of all things blue and white for Christmas. Love the new blue and white Staffordshire dogs! I love them all! 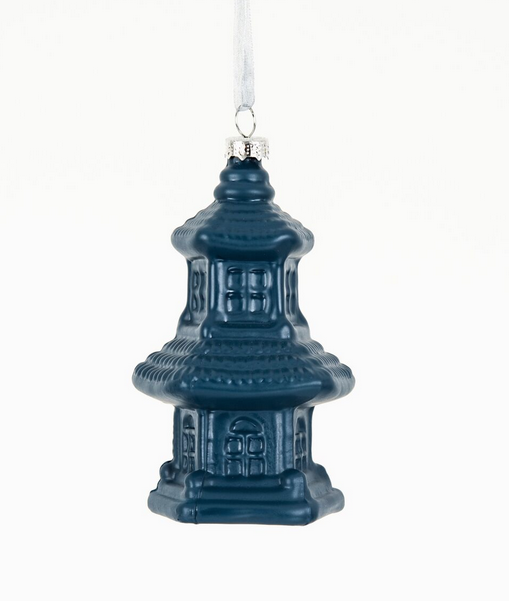 Love the pagoda gift topper. Can’t wait for the salt and pepper shakers to come in. Oh I adore the Staffordshire dogs!! I think the minis are adorable! Everything is fabulous, but who can resist those wonderful dogs!!!! Love them all. Especially the new dog ornaments. I can’t wait to start decorating the tree. These are all so beautiful! Love them all but especially the trellis style pagoda! Item 10, the all over floral balls, are so beautiful. Using both sizes offered would make for a beautiful Christmas tree. Absolutely love the entire variety of styles. And, the gift toppers were a big hit last year! I adore the cute Staffordshire dogs!! They are all fabulous and would be thrilled to win any of them to decorate my tree with blue and white!!! I love the new staffordshire dogs! Soooooo Cute! You did good! Love them all, but lucky 13 is my favorite. You tree is absolutely beautiful. I can understand wanting to leave it up now. Love the ginger jars! I could see the majority of these ornaments appropriate for year around displays. I love the balls with the pheasant on them! The navy ginger jars (item 11) along with the ice blue balls are the perfect “add to my tree” ornaments this year. My favorite is item 1 the hexagonal ginger jar. Love it! Absolutely adore the new Staffordshire pups!! Your tree is gorgeous! Obviously a labor of love! I love the Staffordshire dog ornaments! Foo dog is pretty adorable as well. The gift toppers are my favorite. I am so excited and happy to order them!! I love all of them! How will I choose? I love all the blue and white ornaments, especially items # 3, 13, 16, and # 20 a&b, the gift toppers are just adorable! I will definitely want these to gift wrap my sisters presents. Wish I could buy enough ornaments to do my small table top tree in just the blue and white. What a wow factor that would be! Omg love them all but the Staffordshire dogs are calling my name this year. LOVE them all! Would be great full to win any of them. Can’t wait to decorate for the Christmas season. You’ve given lots of inspiration! LOVE them all! Would be greatful to win any of them. Can’t wait to decorate for the Christmas season. You’ve given lots of inspiration! Your tree- be still my heart! That is the most beautiful Christmas setting I have ever seen Tina!! Normally we do a gold/red/green tree but now I am thinking I need an all blue and white tree after seeing yours.Too beautiful for words. Though its hard to name a favorite would have to say all the ginger jars and the cute Staffordshire dogs. I also love the idea of the gift toppers. You did a beautiful job on this collection, congratulations. Hi Tina, I love them all and will be placing my order soon. Because I love blue and white so much, I purchased a whole new tree just for my blue and white ornaments! Your new ornament offerings will make my tree, truly unique and gorgeous. I received so many compliments on my blue and white tree last year, that I cannot wait to add some more of the new ones. I cannot wait for Christmas! My little grandsons would adore the little Staffordshire dogs so I’ll pick those as my most favorite! Love the pups and pagodas! Love ornament #3! The birds and floral are my favorite!! That pagoda is so artistic! 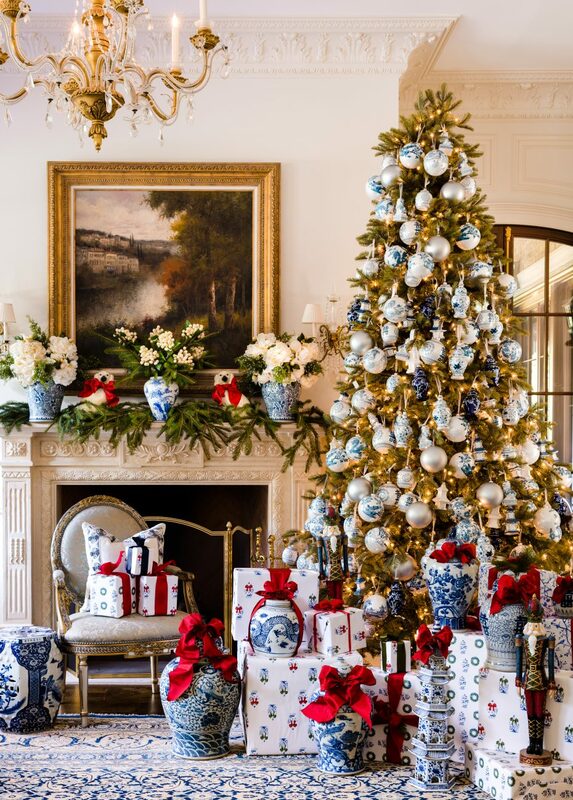 Love the blue and white decorated tree too! I love the gift tag ornaments. I’m decorating table top trees and they are perfect. Love them all! 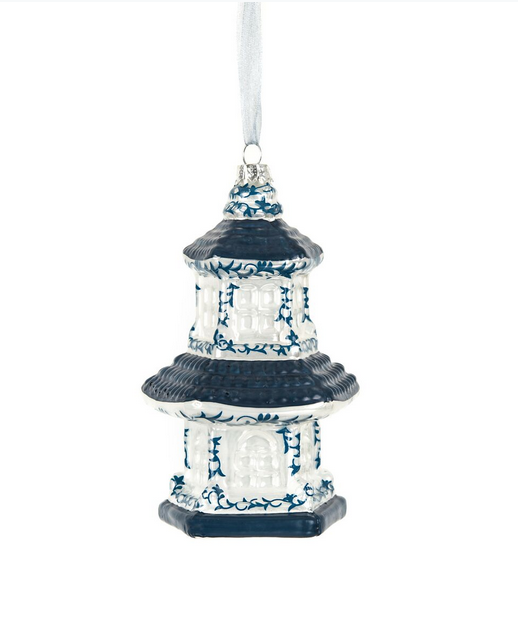 Will go perfectly on my chinoiserie-themed tree! Hello from an Irish man who grew up in London, UK and is living in Puglia, Italy! 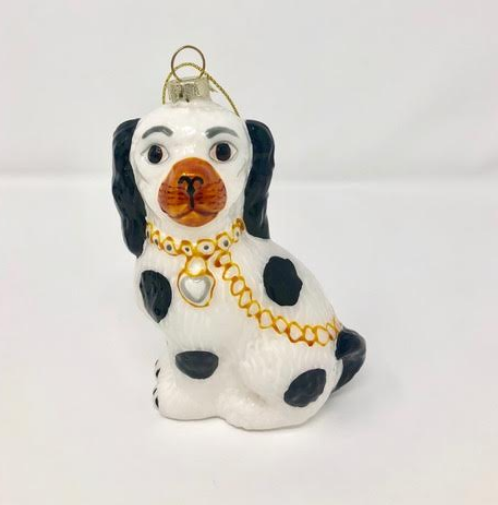 Love the black & white Staffordshire dog ornaments!! I adore the vase gift topper and the floral ball ornaments! These are so beautiful, I can’t wait to snap some up! 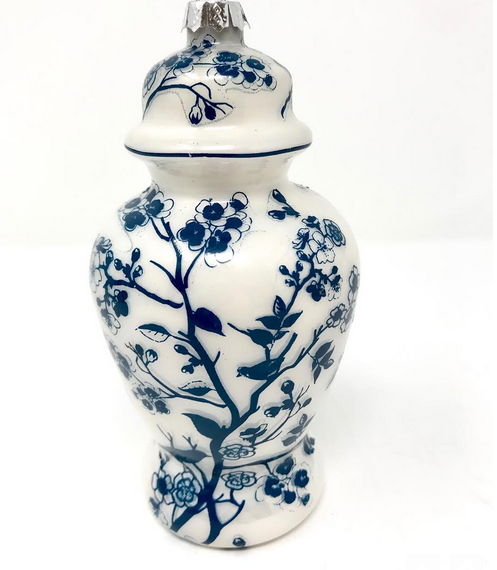 Love the white ginger jar with blue floral! But let’s be honest….they’re all really lovely. I love them all but as a true ginger jar afficionado they remain my face! Just made my order for the Staffordshire Dog Ornaments; they are so cute! The photos of your home and Christmas Tree are gorgeous! I would leave it up through Christmas too. It takes a lot of time to decorate a tree. Can’t wait for the new wrapping paper and ribbon. The small foo dogs are adorable and the icy blue balls are such a gorgeous color! Your tree is beyond fabulous!! Love all the ornaments and package toppers!! I adore mine and get so many compliments! How can you choose? They are all fabulous! Love the new flat top jars and of course the dog ornaments! Those patterned pagodas are my favorites. Though all are gorgeous! Love the tree! Love the dogs! The blue and white pagodas are my favorite! Makes me wish my tree was already up! all new additions are spot on!! Your tree is breathtaking, Tina! They are all beautiful!! Want one of each! Being the dog lover I am, the Staffordshire dogs are must haves! So adorable! The Staffordshire dogs are my favorite. Thank you for the giveaway! Who let the Dogs out???? Loving both the Foo and the Staffordshire – so unique and fun. Your tree is amazing!!! Can’t wait for Christmas this year! Your tree looks so festive! Love! I love the new trellis pagoda! Love them all because they’re beautiful en masse, but I’m into birds so I’ll choose the pheasant ornaments. Tina your photo shoot is front-page-ready for a December issue of House Beautiful or AD. 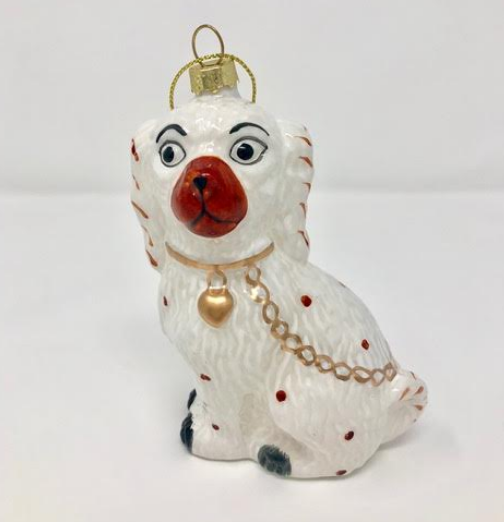 I LOVE all of the ornaments, but the Staffordshire dogs are my favorite. I can’t wait to add these to my collection of blue and white ornaments! Absolutely love the staffordshire dog ornaments! they are going to be my go-to for topping hostess gifts this season! The tree looks fabulous! I love everything. Love the ginger jar ornaments and gift toppers! All so lovely, Tina! Love the ginger jar ornaments, large and small. Your lines are busy. Hope I get a call-back soon. I love the blues in numbers 2, 3 and 11…..such a beautiful tree too!!! Beautiful. The ginger jars are my favorite! It’s beginning to look a lot like Christmas!! 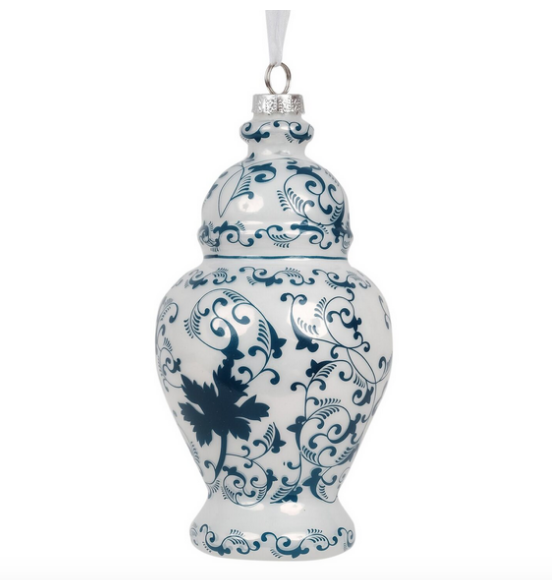 This Christmas will be so unique with these beautiful blue and white ornaments!! Oh I’m so excited about these ornaments! I love the black and white Staffordshire Doggies and the Blue and White Pagodas. All of them will be perfect gift toppers, wreath embellishments, and cake icing. Item 20c, the gift topper, is adorable. 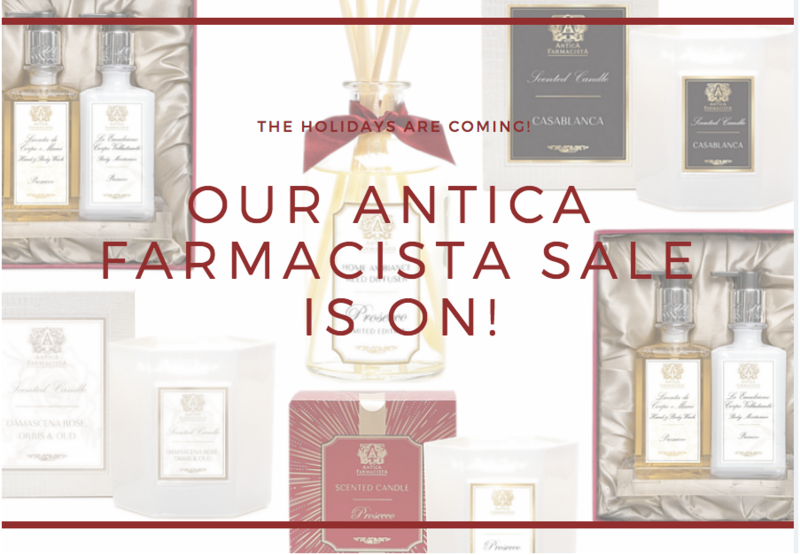 What a lovely add-on to a holiday or anyday gift! These ornaments are lovely! And my entire house is blue and white and they suit a tree in any room of my home. My faves are the round pheasant and the Staffordshire dogs. Love them all!! Number 3 and 11 are favorites! I LOVE the Staffordshire ornaments, but they are all beautiful! I love the mini ginger jars. So beautiful and really puts me in the mood for Christmas. Love the new Staffordshire ornaments. Just ordered mine~hope I ordered enough!! Love all the ornaments but my favorite is the happiest jar. Everything is beautiful!! I love the solid pagodas!! They are all so lovely, it is hard to decide a favorite!..but if I must decide, I think it would be the round pheasant ornament! Thanks for the lovelies!! I love the pagodas the most but I love them all!! Love the floral/bird ginger jar, as well as, the pheasant flat top ginger jar. My tree always has a bird theme, so these would be lovely! Actually I love them all!! Look forward to your posts every day. My favorite ornaments are the staffirdshire dogs. Have collected these for years but never for a tree. WOW!! Oh my gosh!! wow! So beautiful! I adore the dragons! What a great design and addition to traditional Christmas ornaments. The tree and ornaments are stunning, but the ornament with the double happiness symbol really makes me happy! 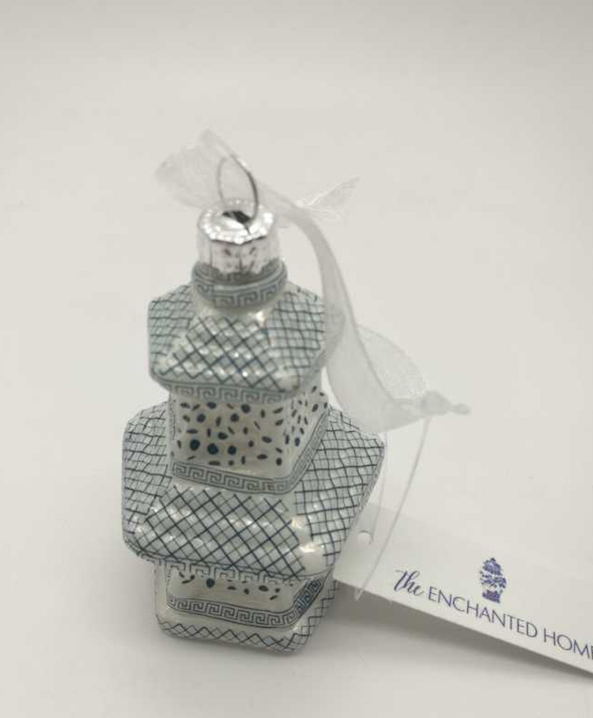 The pagodas and dragon ornaments are my favorites! They are all so beautiful! But my favourite is the navy cherry blossom jar. The Staffordshire dogs are so sweet!!! Also, the flat top jars are a winner as well. I love all the new ones, but my favorite is still the large dragon ball! The decorated tree is gorgeous! Love the minis Can’t wait to put up my mini blue tree in the kitchen. I have been waiting on the dog ornaments – love them!!! I always love the ginger jars and the pagoda is to die for! Obsessed with all of these ornaments. 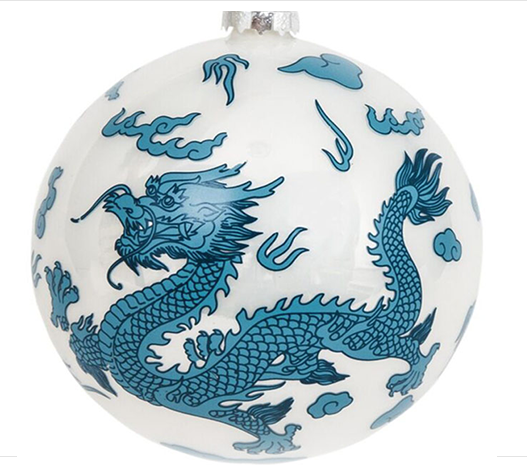 It especially love the blue and white ball ornaments. I love mixing these traditional styles into Christmas decor! It’s difficult to pick just one, I love the navy ginger jars. Your Christmas picture looks gorgeous! It definitely makes me want to plan for the holidays. Numbers 1 and 17 are may favorites. The gift toppers and dogs are my favorites but I love them all! Hi Tina, i have several ornaments from last year and can’t wait to get more this year. The new ginger jars are precious. I am in love with all of the toppers as well. Thank you for bringing such loveliness to us. Your tree is the most beautiful I have ever seen and I have seen some beautiful trees but this one takes the prize- wow! I love the ornaments, they are the prettiest I have seen anywhere. So so lovely, what a great idea you had to create this. Working on my order and would love to win! They are all beautiful, but the Staffordshire dogs are my favorite. I absolutely love the ginger jars and pagoda! All are so beautiful – never seen anything like it before!! 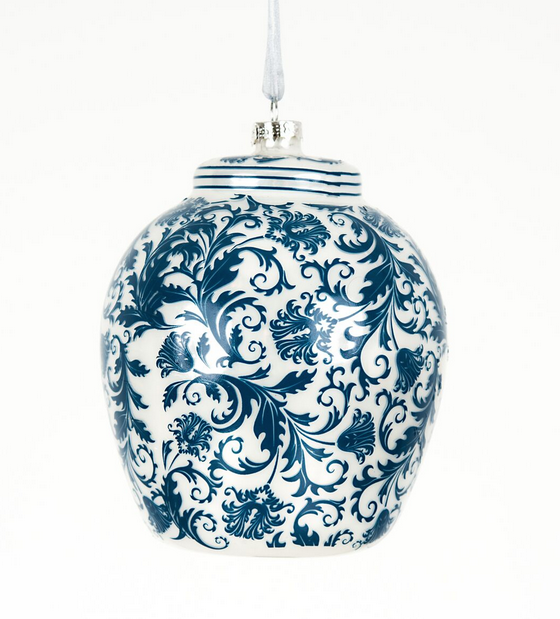 I am in love with this collection of blue and white ornaments!!! My absolute favorite is the new blue and white Staffordshire dog!! So adorable!! Love the Staffordshire dogs…in fact ordering as soon as I get done here…..I think I will add a Foo dog too! 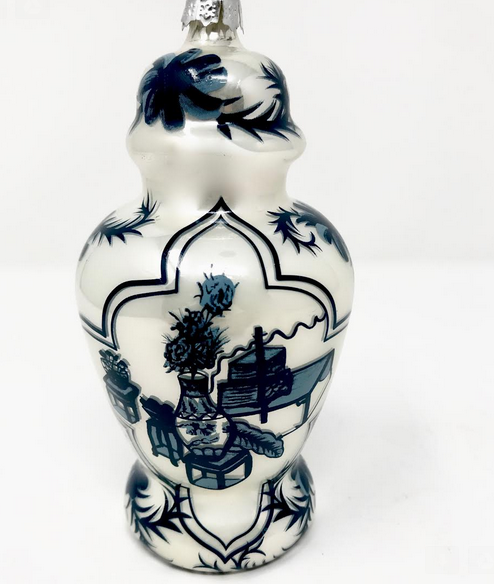 The blue and white pagoda and staffordshire with the black spots have my heart!! LOVE ALL THE ORNAMENTS BUT AM PARTIAL TO ALL THE GINGER JARS AND DOGGIES! THIS MAKES ME SO EXCITED FOR THE HOLIDAY SEASON! I love all of the Staffordshire dogs! I was excited to see the pheasant flat top jar ornament. It is a favorite. So glad that I was able to finally snag some gift toppers!! Last year I waited too long to order and they were all sold out!! Learned my lesson!! I love the little Staffordshire dogs. They will add personality to any tree. Adorable!!! I’m in Blue/White overload – which is a HAPPY 🙂 occasion! You have truly inspired me to start planning Christmas decor! I love the little Too dog ornaments so much! 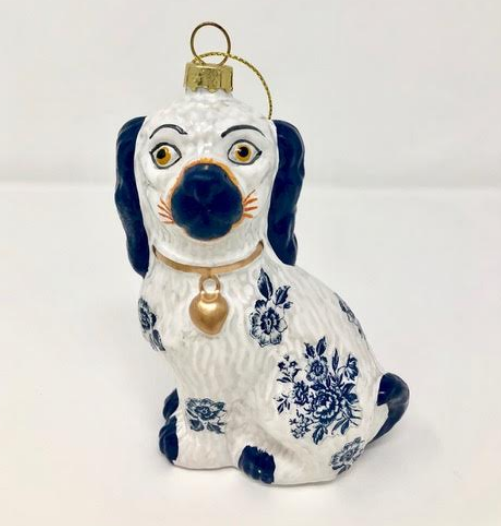 I love the Staffordshire dogs, but I would be so very happy with any of the blue and white ornaments They are my absolute favorite!! Love these ornaments! Bought several last year and gave as gifts! Smiles on everyone! 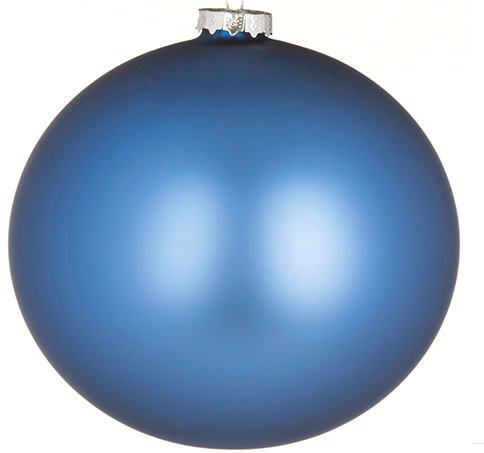 Do you mind sharing the wall color you used in your blue/white Christmas tree room? My favorite is still the Navy Cherry Blossom Jar, but all of them are super cute! I LOVE your blue and white world! Two comments: one, these are absolutely lovely, especially if you want blue white! 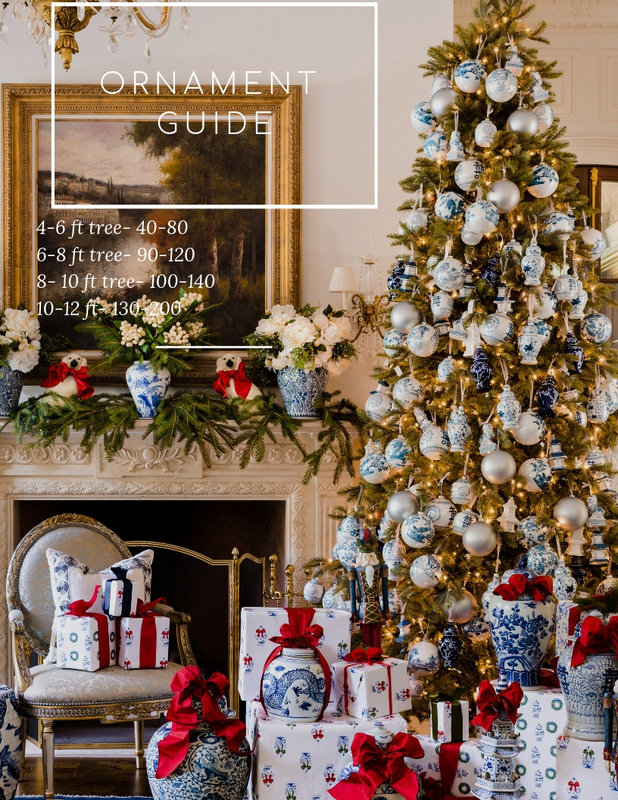 Two, there is a concept of showing more of the tree itself and not needing to have a minimum 100 ornaments on a 10″ tree. The ornaments themselves become more special. 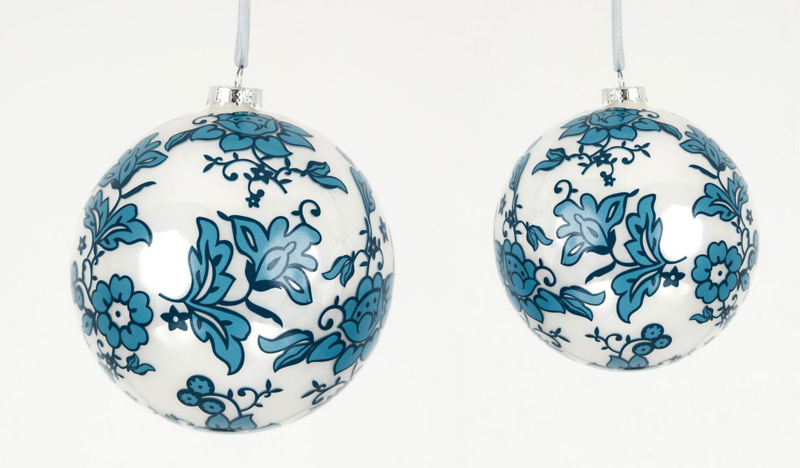 Wow…nothing could be prettier than having these beautiful blue and white ornaments on a tree! Tough decision! So torn, but . . .it has to be the Staffordshire dogs. I can absolutely see mixing and matching a variety of the blue and white balls with solid silver ball to fill my large blue and white platter on my coffee table. Just love the dogs & Ginger jars. The staffordshire dogs are absolutely quintessential! Love, love, love everything but my absolute favorite is the black staffordshire dog! I just ordered some for my tree. Can’t wait! Thank you! Really like any of the ginger jars or the Staffordshire dogs! The salt and pepper shakers are over the moon for me, I’m turning them into tassel toppers and shade pulls. So beautiful. I love 20c…broken or not! I have a perfect little tree that will be extra special with those. 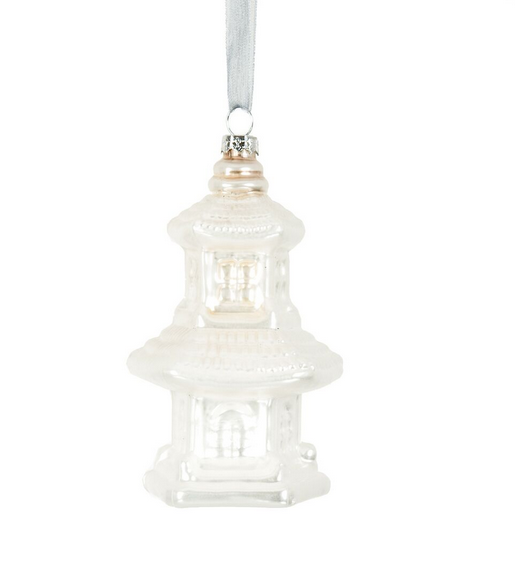 The White Pagoda ornaments, will look great on any tree, my FAVE. It has to be the very last one, the little pagoda! Love at first sight! I feel like I’ve been waiting forever! Last year I purchased from the blue and white ornament collection 3 times! I’m looking forward to my first order this year and probably a couple more after that! I think my favorites of the new ones are numbers one and number six! The dogs and the package toppers. Love the smaller size. Loving the new intros! thanks for all you do. They are all beautiful, but I LOVE the Staffordshire dogs! There are so many beautiful choices, but my favorite are #8 and #10. Gorgeous! Blue and White staffordshire dog! 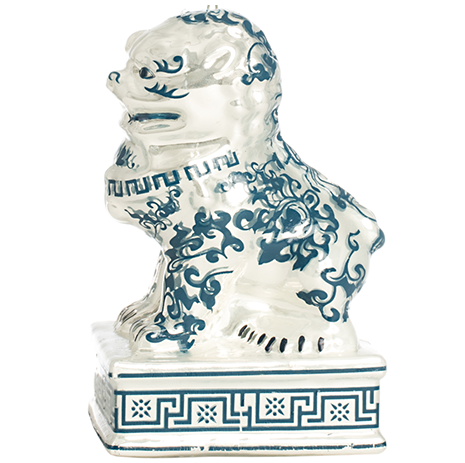 The Staffordshire dogs, foo dogs, and mini pagodas are my absolute favorites! Everything is so beautiful! My favorite is the blue and white floral ball ornaments. Thank you for the generous giveaway! I like the ginger jar ornaments. Thank you for the giveaway. Your tree is beautiful. Love the staffordshire dog ornaments! I collect Staffordshire dogs so I covet all three ornaments, plus the Foo dog. Oh, I just love ALL of the ornaments! It’s very hard to choose a favorite, but I do love the new hexagonal ginger jar and the lattice pagoda. Hopefully, I will be adding these beauties to my collection! Love all the ornaments, simply beautiful. I am decorating several smaller trees this year instead of one giant tree. I look forward to adding to my blue/white collection. Who could ever select a favorite, they are all so yummy! So hard to choose a favorite among these beauties but would have to pick the foo dogs! I just changed my interior colors to a neutral grey, Benjamin Moore Smoke Embers, to focus on my blue and white pieces. My house hasn’t been changed in 23 years! Can’t wait to hang my Ming Dove curtains to pull my chinoiserie look together. 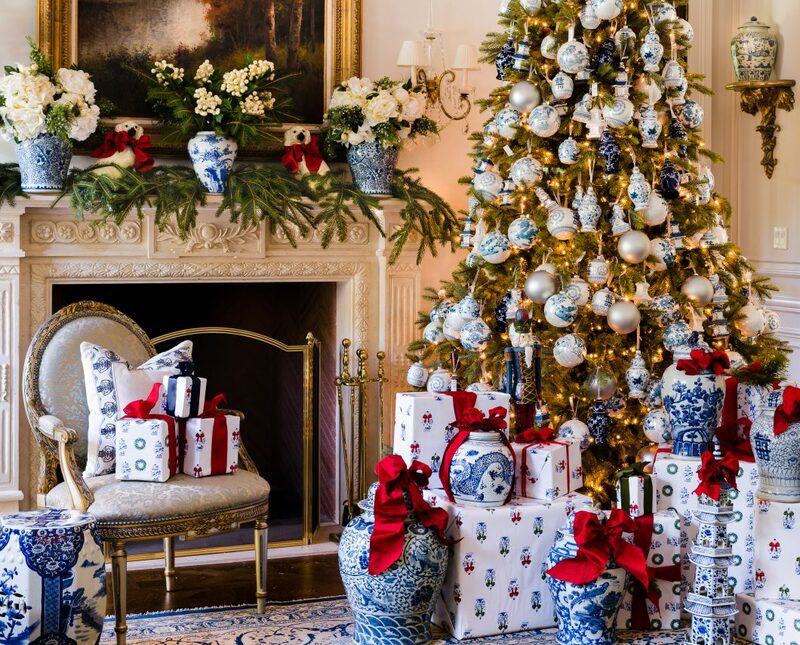 I have bought a white tree and had planned to collect blue and white ornaments to decorate it with… your collection is absolutely perfect… and I would be honored to win them! I even have ordered blue and white ginger jar gift tags to decorate gifts! Thank you for considering me! I am in love with these! I love the pagodas and the little Staffordshire dogs! Oh my goodness- the Staffordshire dogs! Love!! I love the 3″ gift topper ginger jars. I want to give these out as small favors for my annual cookie exchange. 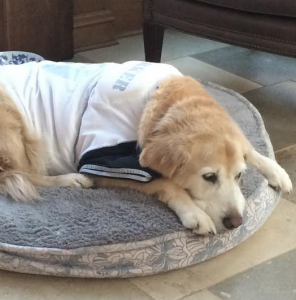 The Staffordshire dogs will appeal to so many—animal lovers, Staffordshire lovers, and blue and white lovers. I think Charles Faudree would have loved these! My favorite is definitely the pheasant flat top ginger jar! Tina I have to start by telling you how magnificent your tree is and the way you styled it with all the presents and bows and porcelain pieces is “off the charts” as my kids would say ::-) If I were you I would leave it just like that until Christmas! I also love the way you did the mantle, I think a great post would be a mantle tutorial for us mere mortals who are clueless. I would love to decorate my mantle that way for the holidays. Maybe something to consider? 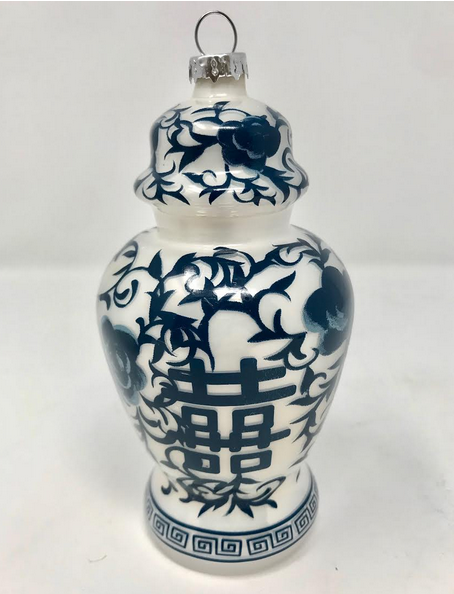 As far as the ornaments, I can’t pick a single favorite but do love all the new ginger jar styles, large pheasant ball and that little foo dog still is the cutest little dog to me, such a beautiful collection and excellent prices to boot. Tina you outdid yourself again! Love them all! The gift size are so unique for adding to a package! I love the staffordshire dogs! All of the ornaments are stunning! All are wonderful; my favorite ornaments are the black and white dogs. I love the little foo dog! They are all adorable. I adore the little pagodas. They are precious. I LOVE them all!!! But, my favorites have to be the foo dog and pagoda ornaments. I have already commented but I wanted to ask if there was any way you could have a blue and white Christmas tree topper. I bought a whole separate tree and bought a basket tree skirt for my tree that I painted blue. 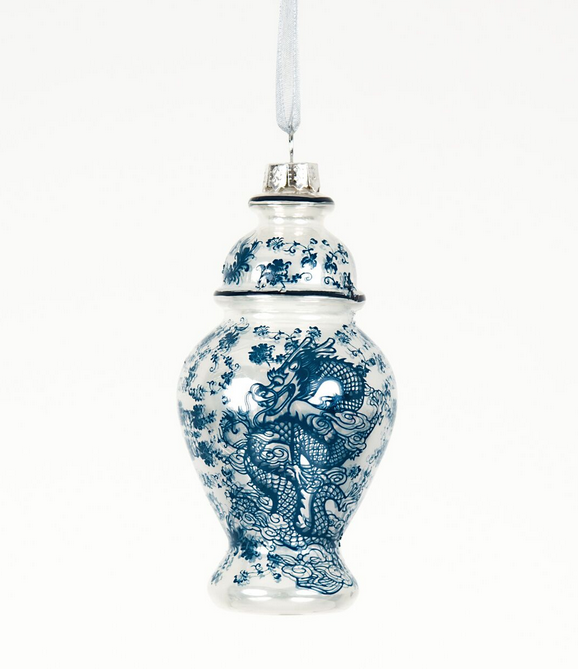 But for the grand finale, I would really, really love a blue and white porcelain Christmas tree topper. I know you put these creations together very early in the year but I thought many of us (including myself) would just adore a Christmas tree topper. Keep bringing us your lovely creations! We all love them. 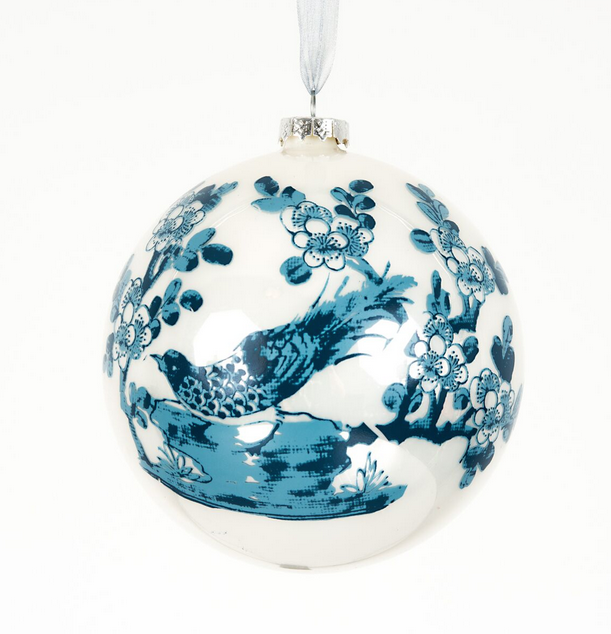 My favorites are the chinoiserie floral/bird ornament, #3, and the stunning ice blue ornament, #14. 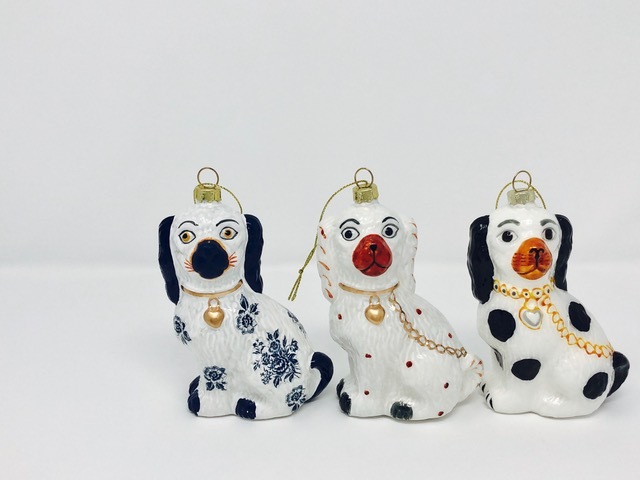 The Blue and white ginger jar ornaments are gorgeous but the Staffordshire dog ornaments have my heart! Love them all!! Well I love them all, but especially the new ginger jars. And the solid blue ones. Your tree is fabulous. Tina I am not Christian and do not celebrate Christmas but appreciate the beauty of the holiday. I just had to comment to tell you that your tree is the prettiest one I have ever seen, simply perfect. All festive but the flat tops and pagodas are my favorites. Looking forward to the announcement for ordering the. holiday gift wrap. I especially love items 1 and 3. Love their patterns. Hands down Tina, the ginger jars! All of them! Love the ginger jar ornaments. They would look beautiful on my tree!! My favorite is #13! although I love them all! placed my orders already! The ginger jar ornaments are terrific! The ornaments are such fun and you won’t see them anywhere else. Love the new Staffordshire dogs; think they may have to be gifts to several friends! I’m so excited about the ginger jar ornaments being in stock again, especially #3! They will complement my hand painted chinoiserie bulbs perfectly. Can’t wait for my order and thinking of skipping Halloween and putting my tree up early. Tina all these ornaments are absolutely gorgeous . My passion is everything blue and white. I am so looking forward to decorating one of my trees with your beautiful ornament collections. Thank you so much for providing such lovely products! Love the gift toppers, pagodas and flat tops Sooo cool! The blue dog of course is my favorite. But who could choose! I love the pagodas, foo dog, and ginger jars! 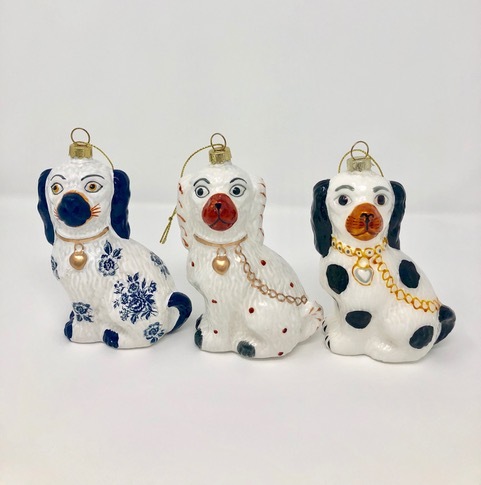 The Staffordshire dogs – any size – are perfect gifts for friends who not only have dogs but collect antique porcelain and china. Nice work, Tina! OMG, I love all of the staffordshire dogs!!!!!!! My favorite holiday ornaments are your ginger jar ornaments., they are beautiful!! I love any chinoiserie, a love inherited from my father. I’m lucky enough to have his foo dogs so those have to be my favourite. 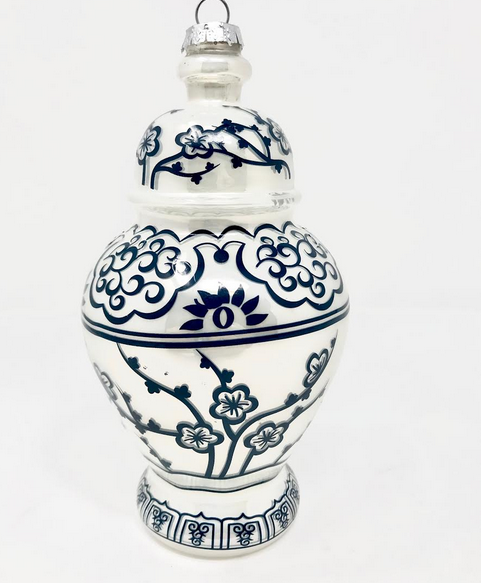 my favorite is the navy cherry blossom jar with white blossoms, however its really hard to choose just one 😉 I just found this blog/pin today…made my day! I can’t wait to see those little dog ornaments! Adorable! I absolutely love the dragon!! My mother was born in the year of the dragon and dragons hold a special place in my heart. 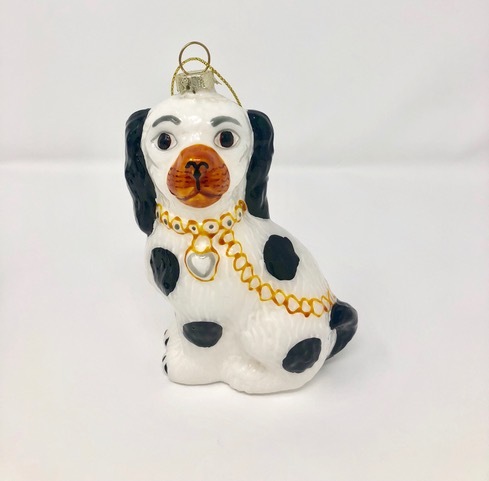 I love all the ornaments but especially love the 5″ Staffordshire dogs, #12C. Would love to have them all!!!! 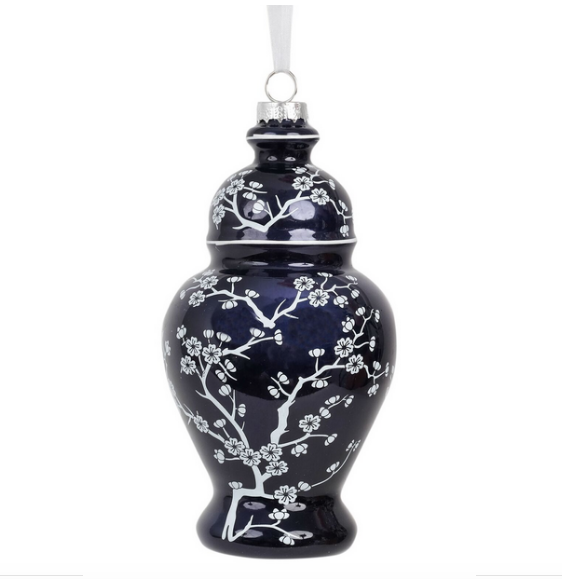 It’s almost impossible to pick only one but I’ll choose Item 11, the navy cherry blossom jar. So beautiful! I bought several of these last year for myself and as gifts. My friends loved them. And I’m glad there are some new ones. The crowning glory on my Blue and White Tree this year will be the adorable Staffordshire dogs! I cannot wait! Loooove the staffordshire dog ornaments and the foo dog! The staffordshires spaniel ornaments are just too adorable! Those are definitely my favorite. Your blue and white ornaments are extraordinarily beautiful! I would dearly love to win a set for my tree! I’ve never wanted any ornaments more than these in my life! Stunning!! Oh no, I totally missed this. 🙁 I hope you’ll offer more of those adorable Staffordshire dogs. I love everything – especially the blue and white dog ornament!